There is a lot of confusion regarding Wills and Trusts. Is one better than the other? How can you avoid probate? Can you have a Will with a Trust? Can you have a Trust with a Will? Do you need both? Let’s start off by discussing what each document is. 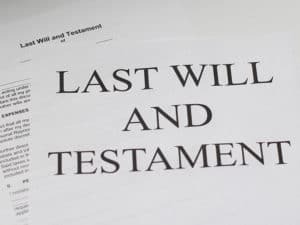 A Will is a document that allows you to have heirs inherit from you when you pass away. It only applies after you pass away, and probate has been opened. There is a common misconception that having a Will allows you to avoid probate. It does not allow you to avoid probate but does make it easier. Keep in mind that Washington State has one of the simplest and most straightforward probate processes in the country, especially compared to states like California or New York. Very generally, a Trust is a written method of managing and distributing money and/or property. There are many different kinds of Trusts that can serve many different functions. The two main categories of trusts are Testamentary and Stand-Alone. A Testamentary Trust is contained within a Will and only goes into effect if probate is opened. Think: Last Will and Testament. Examples of Testamentary Trusts are Spendthrift and Educational. Spendthrift Trusts spreads out an heir’s inheritance over time (rather than getting one lump sum) and is most commonly used for heirs who may be young or irresponsible with money. An Educational Trust can be used to pay for an heir’s education expenses. A Stand-Alone Trust is a separate stand-alone document. There are many different types of Stand-Alone Trusts, but the most common is a Revocable Living Trust. The main purpose of a Revocable Living Trust is to avoid probate. It can also be useful for blended families with children from prior marriages by helping to preserve the inheritance of the children of the spouse who passes first. It can also be useful if you have a house or land outside of Washington State. You can also include Educational and Spendthrift Trusts within a Revocable Living Trust. So, should you get a Will or a Trust? It really depends on the person, their wishes, and their exact situation. There is no one-size-fits-all solution. Wills tend to be less expensive and easier to set up. Trusts are more expensive and complicated to set up but can make things easier on the family after the person passes (no probate). Still have questions? Contact Law Offices of Bryana Cross Bean at (253) 327-3387 or attorneybean@outlook.com to schedule a consultation. We will sit down with you and come up with a solution that fits your individual needs.